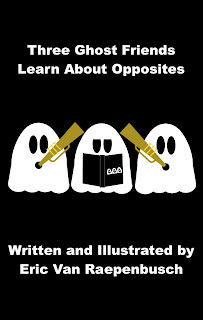 Three Ghost Friends: Learn About Opposites is a story to teach young children about opposites. The three ghost friends learn about opposites when they play together from morning until night. Did you find hidden opposites in the illustrations? Post a comment below to tell me what you found. It is available at the Apple iBookStore for iPad, iPhone, and iPod Touch for only 99 cents.